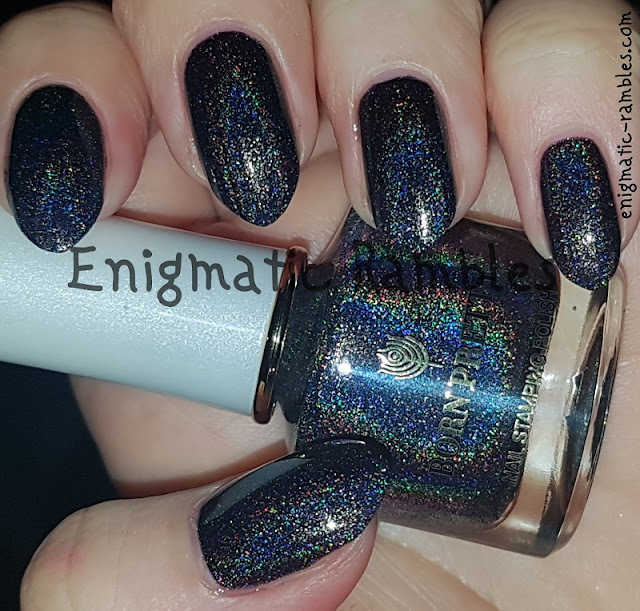 Fantasy Sky from Born Pretty Store is a charcoal stamping holographic polish, which comes packages in a small cardboard box. 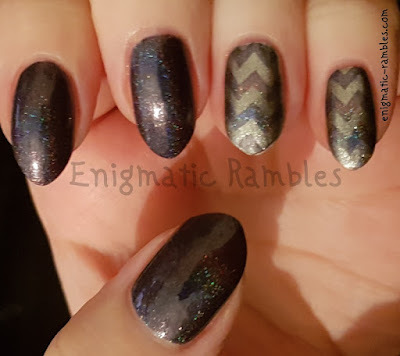 And because this is a stamping nail polish I used it in a chevron design below. I found the polish was easy to use, and stamped across really well. I used it over a silver below. 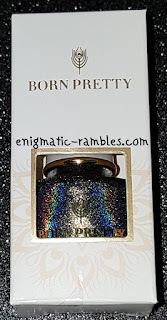 Overall this stamping polish is great for stamping as well as wearing as is. 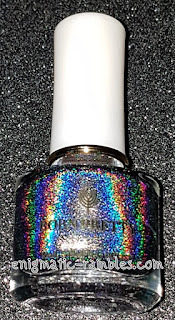 The holographic rainbow is strong and a beautiful polish.